A portrait of Archibald Williams who was born in Montgomery County, Kentucky. 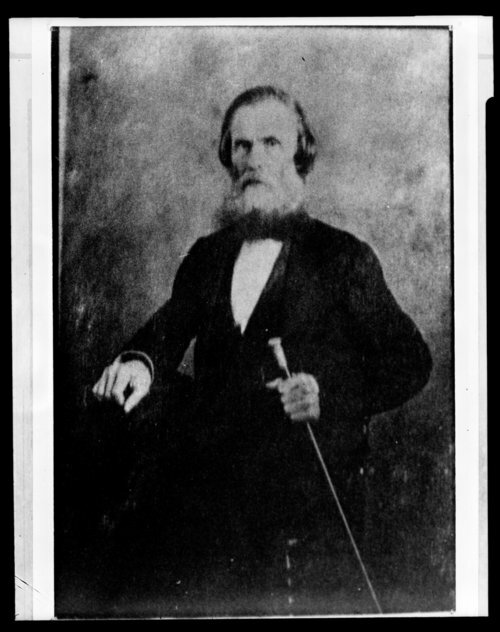 Williams read law to enter the bar in 1828, and he was in private practice in Quincy, Illinois, beginning in 1829. Williams was the United States Attorney for the District of Illinois from 1849 to 1853. On March 8, 1861, Williams was nominated by President Abraham Lincoln to a new seat on the United States District Court for the District of Kansas. He was confirmed by the United States Senate on March 12, 1861, and received his commission the same day. Williams served in that capacity until his death in 1863.